Home > Car Care > When does a tie rod end need to be replaced? 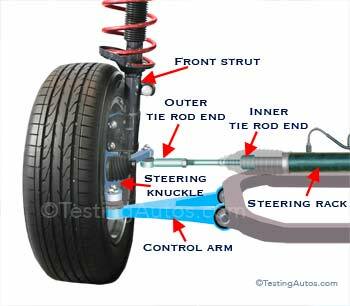 A tie rod is a part of the steering system. Some large SUVs, pickup trucks and older cars have the steering system with a recirculating ball mechanism. Modern cars come with rack-and-pinion steering. Tie rods in both systems have the same function: they connect the steering rack or linkage to the steering knuckles. The outer tie rod end is connected to the steering knuckle. The inner tie rod end is protected by the steering rack boot (we made it transparent in this image). 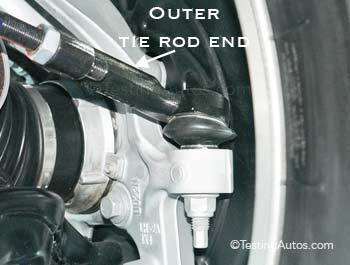 A tie rod is made of two components: inner and outer tie rod ends. Both tie rod ends have ball joints. An inner tie rod end is greased and protected by the steering rack boot. The outer tie rod end is also filled with grease, but it's protected by a small rubber or plastic boot. The most common problem with either tie rod ends is when they wear out and get loose. Often this happens when a rubber boot cracks or breaks and the moisture penetrates inside the tie rod end causing corrosion. Outer tie rod ends fail more often. Problems with tie rod ends are more common in heavier cars and SUVs due to greater load. A loose tie rod is a major safety concern as it can separate. If a tie rod end separates, the vehicle will lose steering control. If you have seen a disabled vehicle on the side of the road with the front wheels pointing in different directions, it's probably one of the tie rod ends has separated. Symptoms of a loose tie rod end include a clunking, rattling or knocking noise in the front end and looseness felt in the steering. The outer tie rod end in this GMC Sierra must be greased regularly. 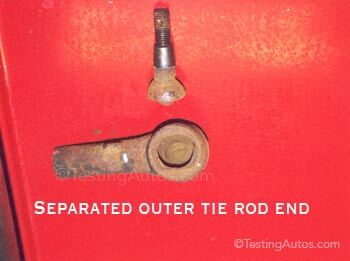 The problem is that often, a loose tie rod end may not produce any symptoms. Many mechanics will tell you that when the vehicle comes for an oil change and a tie rod end (or some other part of the front end) is about to fall off, the owner might be very surprised to find this out. For this reason, the steering system, as well as brakes, suspension and other underneath components must be inspected at least once a year. The only way to properly inspect tie rods and other steering and suspension components is when the vehicle is raised on a lift. See how a loose outer tie rod looks like. Can a bad tie rod cause shaking? Yes, excessively worn tie rod ends cause a looseness in the steering. Outer tie rod end, Ford F150. This might result in shaking in the front end that comes and goes at certain speeds. This problem is especially common in older SUVs and pickup trucks with a recirculating-ball steering system. A weak steering damper makes the problem worse. Tie rods are not very expensive to replace. The outer tie rod replacement costs $20-$95 part plus $50-$110 labor. Replacing the inner tie rod end costs a little more: $25-$102 part plus $60-$150 labor. In many cars, a special tool is required to replace inner tie rod ends. Does the vehicle needs the wheel alignment after replacing a tie rod end? Yes, tie rods control steering angles. In fact, the tread or clamp connecting inner and outer tie rods is used to adjust steering angles. 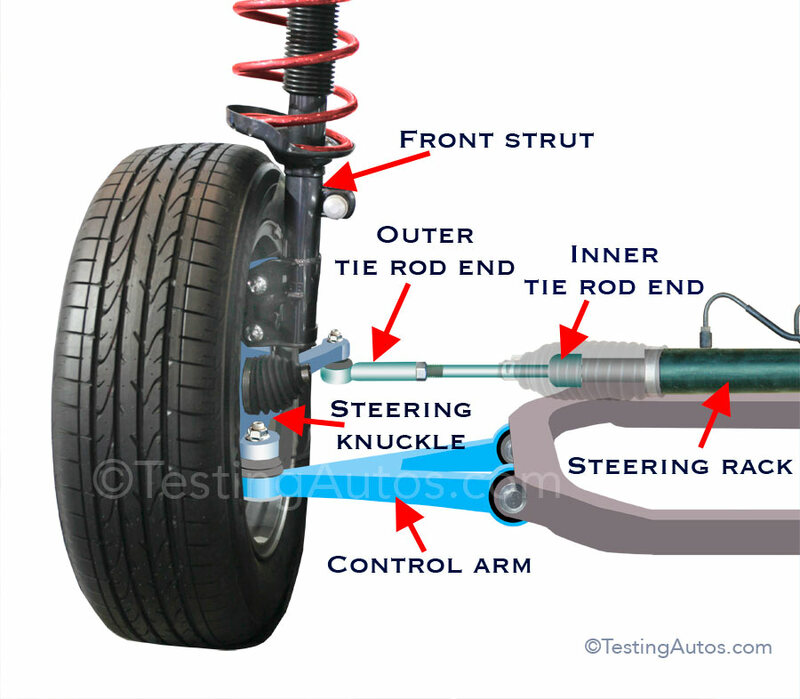 This means that after the replacement of any of the tie rod ends, the vehicle will need the wheel alignment to bring the steering and suspension angles back to within specifications. The wheel alignment costs extra. Read more: When should the wheel alignment be done? Should tie rod ends be replaced on both sides at the same time? No, If a tie rod is in good shape, there is no need to replace it. 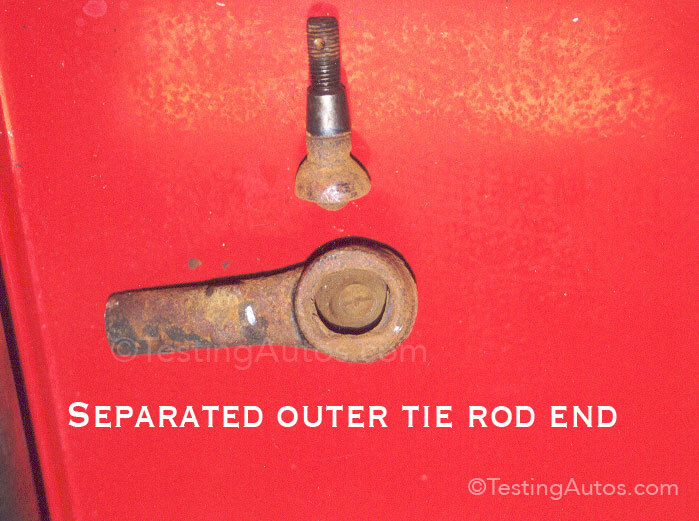 Often, however, tie rods on both sides wear out at the same rate. If one tie rod is bad and the other is starting to go, it makes sense to replace both, so you won't have to do the wheel alignment twice. Another reason to replace a working tie rod end is when the protective boot is damaged. Once that boot is damaged, the tie rod won't last long. Should both, inner and outer tie rod ends be replaced together? Again, there is no need to replace the part if it's good. Does a tire rod need any maintenance? In some cars and trucks, tie rod ends have grease fittings and must be greased periodically. In many modern cars, tie rod ends don't need any maintenance as they are filled with grease and sealed at the factory. 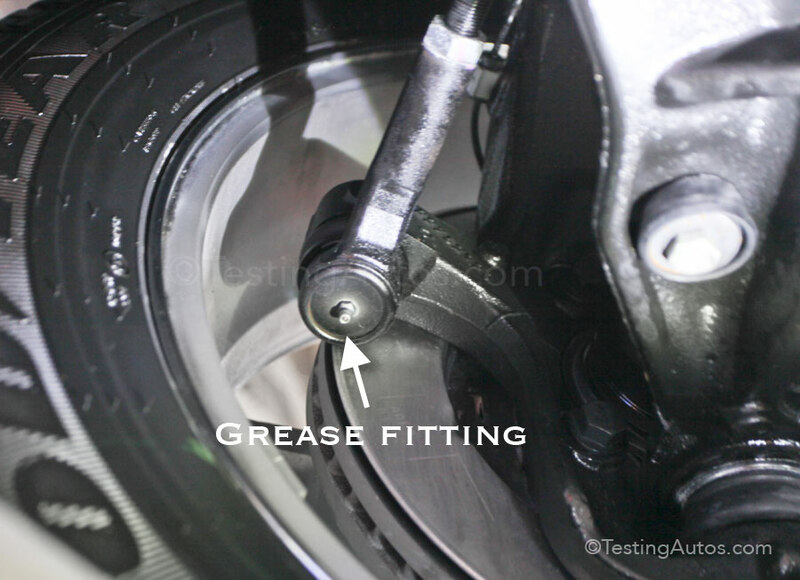 You can check your owner's manual or ask your mechanic to check if tie rods have grease fittings during a regular service.